Knowledge Book Co. bookstore is located within Singapore’s Bras Basah Complex, at 231 Bain Street. Established in 1975, Knowledge Book Co. offers a wide range of new, used, out of print, hard to find & rare books. In total, the bookstore, which acts as a retailer, wholesaler, importer and exporter, features a collection of 2,500+ books in a variety of categories. …Sociology, Taxation, CIMA, Nursing, Chemical Engineering, and Entrepreneurship. 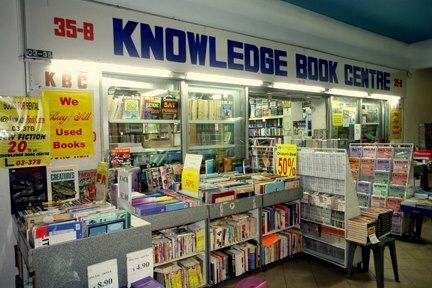 The official Knowledge Books Centre Facebook page is located at www.facebook.com/knowledgebooks/. To learn more about the available books and book categories, however, the best place to browse through is the bookstore’s official website, at www.knowledgebook.com.sg.